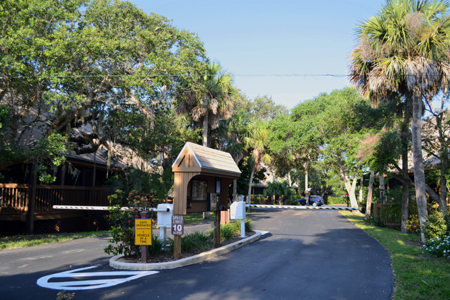 Treetop Village in Melbourne Beach is a small gated complex located at the back of Mark’s Landing. The community is characterized by large shady oaks and a rustic architectural style. Amenities include a pool and a secluded area for boat storage. 4.6 miles south of Driftwood Plaza (Publix). Treetop Village of Melbourne Beach is located in the middle south beaches. 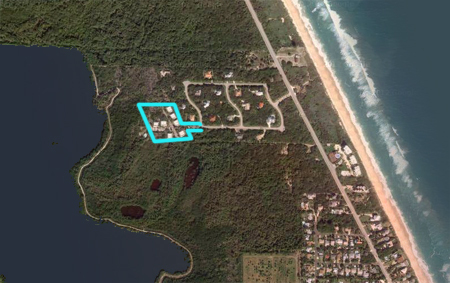 Enter community from Highway A1A via Mark’s Landing Place. From end of entrance road, turn left until road follows around to the Treetop Village gatehouse. 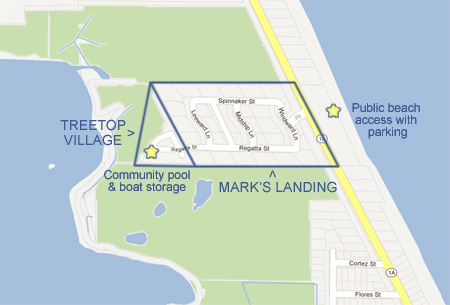 Beaches: Treetop Village features a public beach access with parking across from the Mark’s Landing community entrance.